Sense and Sensibility is a 1995 American period drama film directed by Ang Lee and based on Jane Austen's 1811 novel of the same name. 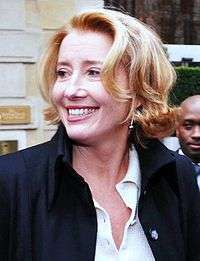 Actress Emma Thompson wrote the script and stars as Elinor Dashwood, while Kate Winslet plays Elinor's younger sister Marianne. The story follows the Dashwood sisters, members of a wealthy English family of landed gentry, as they must deal with circumstances of sudden destitution. They are forced to seek financial security through marriage. Actors Hugh Grant and Alan Rickman play their respective suitors. The film was released on 13 December 1995 in the United States and on 23 February 1996 in the United Kingdom. Producer Lindsay Doran, a longtime admirer of Austen's novel, hired Thompson to write the screenplay. The actress spent five years drafting numerous revisions, continually working on the script between other films as well as into production of the film itself. Studios were nervous that Thompson – a first-time screenwriter – was the credited writer, but Columbia Pictures agreed to distribute the film. Though initially intending to have another actress portray Elinor, Thompson was persuaded to take the role. Thompson's screenplay exaggerated the Dashwood family's wealth to make their later scenes of poverty more apparent to modern audiences. It also altered the traits of the male leads to make them more appealing to contemporary viewers. Elinor and Marianne's different characteristics were emphasised through imagery and invented scenes. Ang Lee was selected as director, both due to his work in the 1993 film The Wedding Banquet and because Doran believed he would help the film appeal to a wider audience. Lee was given a budget of $16 million. A commercial success, the movie garnered overwhelmingly positive reviews upon release and received many accolades, including three awards and eleven nominations at the 1995 British Academy Film Awards. It earned seven Academy Awards nominations, including for Best Picture and Best Actress. Thompson received the Best Adapted Screenplay, becoming the only person to have won Academy Awards for both acting and screenwriting. Sense and Sensibility contributed to a resurgence in popularity for Austen's works, and has led to many more productions in similar genres. It persists in being recognised as one of the best Austen adaptations of all time. On his deathbed, Mr. Dashwood (Tom Wilkinson) tells his son from his first marriage, John (James Fleet), to take care of his second wife (Gemma Jones) and three daughters, Elinor (Emma Thompson), Marianne (Kate Winslet) and Margaret (Emilie François), since they will inherit nothing. John's greedy and snobbish wife Fanny (Harriet Walter) convinces him to give his half sisters practically nothing financially and they immediately install themselves in the large house, forcing the Dashwood ladies to look for a new home. Fanny invites her brother Edward Ferrars (Hugh Grant) to stay with them. Elinor and Edward soon form a close friendship, but Fanny haughtily tells Mrs. Dashwood that Edward would be disinherited if he married someone of no importance with no money. Mrs. Dashwood understands her meaning completely. Sir John Middleton (Robert Hardy), a cousin of the widowed Mrs. Dashwood, offers her a small cottage house on his estate, Barton Park in Devonshire. She and her daughters move in, and are frequent guests at Barton Park. The Dashwoods meet the older Colonel Brandon (Alan Rickman), who falls in love with Marianne at first sight. However, Marianne barely acknowledges him although he is carried in the highest regard and shows only kindness towards her and her family. One afternoon, Marianne takes a walk with Margaret and slips and falls in the rain. She is carried home by the dashing John Willoughby (Greg Wise), with whom Marianne falls in love. They spend a great deal of time together and clearly fall in love to the point that he snips a lock of her hair to carry with him. Upon leaving one evening, Willoughby asks to spend time alone with Marianne the next day, which could only mean he is going to propose. She asks her mother to stay home from church and during the service Margaret wonders if he will kneel down while proposing. When they return, the find Marianne in tears and Willoughby out of sorts, excusing himself to leave unexpectedly and inexplicably for London. Sir John's mother-in-law, Mrs. Jennings (Elizabeth Spriggs), invites her daughter and son-in-law, Mr. and Mrs. Palmer (Hugh Laurie and Imelda Staunton), to visit. They bring with them the impoverished Lucy Steele (Imogen Stubbs). Lucy confides in Elinor that she and Edward have been engaged secretly for five years, dashing Elinor's hopes of a future with him. Mrs. Jennings offers to take Lucy, Elinor, and Marianne to London. Marianne and Lucy are excited to go since both of their loves are there. Marianne repeatedly reaches out to Willoughby upon their arrival, but receives no response although the talk in town is that they are engaged. When their paths finally cross at a ball. Although Marianne is overwhelmed with happiness to see her love, he greets her coldly. Due to his demeanor, Marianne faints while exiting. The next morning, all of Marianne's letters to him are returned with a note from Willoughby and the lock of her hair that he cut. He apologizes for any misunderstanding that may have caused her to believe that he loved her. Marianne is overwhelmed with grief, but Elinor is incensed since it was clear to her entire family that he loved Marianne greatly. Mrs. Jennings then divulges that Willoughby is now engaged to Miss Grey, the woman he attended the ball with, who has a large inheritance. Lucy is invited to stay with John and Fanny, as a way for Fanny to avoid inviting the Dashwood sisters to visit them. Lucy, falsely believing that she has a friend in Fanny, confides her clandestine engagement to Edward and is thrown out of the house. Edward's mother demands that he break off the engagement. When he refuses, she arranges to have his fortune transferred to his younger brother, Robert (Richard Lumsden). On hearing this, Colonel Brandon offers Edward the living of the parish on his estate, feeling sympathy for the honorable Edward. He also explains to Elinor why Willoughby left Marianne: he had impregnated Brandon's ward Beth, the illegitimate daughter of his former love Eliza. Willoughby's aunt Lady Allen disinherited him upon the discovery, forcing him to find a wealthy woman to marry. Unfortunately, it all occurred the day that he was set to propose to Marianne. Elinor hopes that knowing he truly loved her is enough to make her sister feel better about losing the man she loved. On their way home to Devonshire, Elinor and Marianne stop for the night at the country estate of the Palmers, who live close enough to see Willoughby's estate. Marianne cannot resist and walks to see it, becoming caught in a torrential rain. Everyone looks for her frantically and Colonel Brandon finds her just in time. She is sick enough that the doctor recommends that the Palmers remove their child from the house and tells Elinor to prepare herself for her sister's passing. Colonel Brandon, sick with worry over Marianne's health begs for a way to help. Elinor requests that he bring their mother to encourage Marianne to fight through her illness. She arrives just her daughter's fever breaks and she is out of danger. Once they return home, Colonel Brandon and Marianne begin spending time together. During her convalescence, Marianne admits to her sister that she was once foolish to love with her whole heart instead of holding back like Elinor. She also admitted that she knew Willoughby couldn't have all he wanted since he either had to choose love or money. The Dashwoods soon learn that Miss Steele has become Mrs. Ferrars and assume that she is married to Edward. Later when Edward visits their house, they learn that Miss Steele jilted him in favor of his brother Robert once he had the entire inheritance, releasing Edward from his engagement. Edward proposes to and marries Elinor. Edward becomes a vicar, under the patronage of Colonel Brandon, whom Marianne happily marries. Willoughby is seen forlornly watching their wedding from a distance, and then rides away. Emma Thompson worked on the Sense and Sensibility screenplay for five years. As Thompson mentioned on the BBC program QI in 2009, at one point in the writing process a laptop failure almost lost the entire work. In panic Thompson called fellow actor and close friend Stephen Fry, the host of QI and a self-professed "geek". After seven hours, Fry was able to recover the documents from the device. 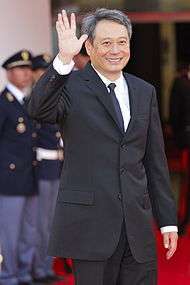 Taiwanese director Ang Lee was hired as a result of his work in the 1993 family comedy film The Wedding Banquet, which he co-wrote, produced, and directed. He was not familiar with the author Austen. Doran felt that Lee's films, which depicted complex family relationships amidst a social comedy context, were a good fit with Austen's storylines. She recalled, "The idea of a foreign director was intellectually appealing even though it was very scary to have someone who didn't have English as his first language." The producer sent Lee a copy of Thompson's script, to which he replied that he was "cautiously interested". Fifteen directors were interviewed, but according to Doran, Lee was one of the few who recognised Austen's humour; he told them he wanted the film to "break people's hearts so badly that they'll still be recovering from it two months later." The formal casting process began in February 1995, though some of the actors met with Thompson the previous year to help her conceptualise the script. Lee eventually cast all but one of them: Hugh Grant (as Edward Ferrars), Robert Hardy (as Sir John Middleton), Harriet Walter (as Fanny Ferrars Dashwood), Imelda Staunton (as Charlotte Jennings Palmer), and Hugh Laurie (as Mr. Palmer). Amanda Root had also worked with Thompson on the screenplay, but had already committed to star in the 1995 film Persuasion. Commenting on the casting of Laurie, whom she had known for years, Thompson has said, "There is no one [else] on the planet who could capture Mr. Palmer's disenchantment and redemption so perfectly, and make it funny." Also appearing in the film was Alan Rickman, who portrayed Colonel Brandon. Thompson was pleased that Rickman could express the "extraordinary sweetness [of] his nature," as he had played "Machiavellian types so effectively" in other films. Greg Wise was cast as Marianne's other romantic interest, John Willoughby, his most noted role thus far. Twelve-year-old Emilie François, appearing as Margaret Dashwood, was one of the last people cast in the production; she had no professional acting experience. Thompson praised the young actress in her production diaries, "Emilie has a natural quick intelligence that informs every movement – she creates spontaneity in all of us just by being there." Other cast members included Gemma Jones as Mrs. Dashwood, James Fleet as John Dashwood, Elizabeth Spriggs as Mrs. Jennings, Imogen Stubbs as Lucy Steele, Richard Lumsden as Robert Ferrars, Tom Wilkinson as Mr. Dashwood, and Lone Vidahl as Miss Grey. The film was budgeted at $16 million, the largest Ang Lee had yet received as well as the largest awarded to an Austen film that decade. In the wake of the success of Columbia's 1994 film Little Women, the American studio authorised Lee's "relatively high budget" out of an expectation that it would be another cross-over hit and appeal to multiple audiences, thus yielding high box office returns. Nevertheless, Doran considered it a "low budget film" and many of the ideas Thompson and Lee came up with – such as an early dramatic scene depicting Mr. Dashwood's bloody fall from a horse – were deemed unfilmable from a cost perspective. A scene was shot of Brandon finding his ward in a poverty-stricken area in London, but this was excluded from the film. Thompson's script included a scene of Elinor and Edward kissing, as the studio "couldn't stand the idea of these two people who we've been watching all the way through not kissing." It was one of the first scenes cut during editing: the original version was over three hours, Lee was less interested in the story's romance, and Thompson found a kissing scene to be inappropriate. The scene was included in marketing materials and the film trailer. Thompson and Doran also cut out a scene depicting Willoughby as remorseful when Marianne is sick. Doran said that despite it "being one of the great scenes in book history," they could not get it to fit into the film. "It was the first film that I had done with Ang that was all in English, and it's Emma Thompson, Kate Winslet, Alan Rickman, and Hugh Grant — these great, great actors. When you get footage like that, you realise that your job is really not technical. It was my job to look at something that Emma Thompson had done and say, 'Eh, that's not good, I'll use this other one instead.' And not only was I allowed to pass judgment on these tremendous actors, I was required to." Gender has been seen as another major theme of the film, often intersecting with class. Penny Gay observed that Elinor's early dialogue with Edward about "feel[ing] idle and useless... [with] no hope whatsoever of any occupation" reflected Thompson's background as a "middle class, Cambridge-educated feminist." Conversely, Dole wrote that Thompson's version of Elinor "has a surprising anti-feminist element to it," as she appears more dependent on men than the original character; the film presents her as repressed, resulting in her emotional breakdown with Edward. Linda Troost opined that Lee's production prominently features "radical feminist and economic issues" while "paradoxically endorsing the conservative concept of marriage as a woman's goal in life." Despite this "mixed political agenda," Troost believed that the film's faithfulness to the traditional heritage film genre is evident through its use of locations, costumes, and attention to details, all of which also emphasize class and status. Gay and Julianne Pidduck stated that gender differences are expressed by showing the female characters indoors, while their male counterparts are depicted outside confidently moving throughout the countryside. Nora Stovel observed that Thompson "emphasises Austen’s feminist satire on Regency gender economics," drawing attention not only to the financial plight of the Dashwoods but also to eighteenth-century women in general. 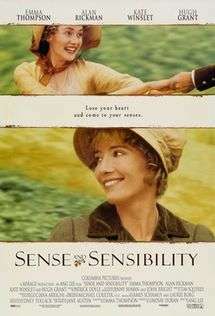 In the United States, Sony and Columbia Pictures released Sense and Sensibility on a slow schedule compared to mainstream films, first premiering it on 13 December 1995. Believing that a limited release would position the film both as an "exclusive quality picture" and increase its chances of winning Academy Awards, Columbia dictated that its first weekend involve only seventy cinemas in the US; it opened in eleventh place in terms of box office takings and earned $721,341. To benefit from the publicity surrounding potential Academy Award candidates and increase its chance of earning nominations, the film was released within "Oscar season". The number of theatres showing Sense and Sensibility was slowly expanded, with particular surges when its seven Oscar nominations were announced and at the time of the ceremony in late March, until it was present in over one thousand cinemas across the US. By the end of its American release, Sense and Sensibility had been watched by more than eight million people, garnering an "impressive" total domestic gross of $43,182,776. On the basis of Austen's reputation as a serious author, the producers were able to rely on high-brow publications to help market their film. Near the time of its US release, large spreads in The New York Review of Books, Vanity Fair, Film Comment, and other media outlets featured columns on Lee's production. In late December, Time magazine declared it and Persuasion to be the best films of 1995. Andrew Higson referred to all this media exposure as a "marketing coup" because it meant the film "was reaching one of its target audiences." Meanwhile, most promotional images featured the film as a "sort of chick flick in period garb." New Market Press published Thompson's screenplay and film diary; in its first printing, the hard cover edition sold 28,500 copies in the US. British publisher Bloomsbury released a paperback edition of the novel containing film pictures, same title design, and the cast's names on the cover, whilst Signet Publishing in the US printed 250,000 copies instead of the typical 10,000 a year; actress Julie Christie read the novel in an audiobook released by Penguin Audiobooks. Sense and Sensibility increased dramatically in terms of its book sales, ultimately hitting tenth place on The New York Times Best Seller list for paperbacks in February 1996. In the United Kingdom, Sense and Sensibility was released on 23 February 1996 in order to "take advantage of the hype from Pride and Prejudice", another popular Austen adaptation recently broadcast. Columbia Tristar's head of UK marketing noted that "if there was any territory this film was going to work, it was in the UK." After receiving positive responses at previews, marketing strategies focused on selling it as both a costume drama and as a film attractive to mainstream audiences. Attention was also paid to marketing Sense and Sensibility internationally. Because the entire production cycle had consistently emphasised it as being "bigger" than a normal British period drama literary film, distributors avoided labelling it as "just another English period film." Instead, marketing materials featured quotations from populist newspapers such as the Daily Mail, which compared the film to Four Weddings and a Funeral (1994). It was watched by more than ten million viewers in Europe. Worldwide, the film ultimately grossed $134,582,776, a sum that reflected its commercial success. It had the largest box office gross out of the Austen adaptations of the 1990s. Mick LaSalle of the San Francisco Chronicle lauded the film for containing a sense of urgency "that keeps the pedestrian problems of an unremarkable 18th century family immediate and personal." LaSalle concluded that the adaptation has a "right balance of irony and warmth. The result is a film of great understanding and emotional clarity, filmed with an elegance that never calls attention to itself." Film critic John Simon praised most of the film, particularly focusing on Thompson's performance, though he criticised Grant for being "much too adorably bumbling ... he urgently needs to chasten his onscreen persona, and stop hunching his shoulders like a dromedary." As the mid-1990s included adaptations of four Austen novels, there were few of her works to adapt. Andrew Higson argued that this resulted in a "variety of successors" in the genres of romantic comedy and costume drama, as well as with films featuring strong female characters. Cited examples included Mrs Dalloway (1997), Mrs. Brown (1997), Shakespeare in Love (1998), and Bridget Jones's Diary (2001). In 2008, Andrew Davies, the screenwriter of Pride and Prejudice, adapted Sense and Sensibility for television. As a reaction to what he said was Lee's overly "sentimental" film, this production featured events found in the novel but excluded from Thompson's screenplay, such as Willoughby's seduction of Eliza and his duel with Brandon. It also featured actors closer to the ages in the source material. ↑ "'Sense and Sensibility' (PG)". British Board of Film Classification. 15 December 1995. Retrieved 2 December 2012. 1 2 Flavin 2004, p. 42. 1 2 3 4 Mills, Nancy (17 March 1996). "Book sense; Lindsay Doran kept her sites on bringing 'Sense And Sensibility' to the screen". Chicago Tribune. Retrieved 17 August 2011. ↑ Parrill 2002, pp. 21, 24. 1 2 Dole 2001, p. 63. 1 2 3 4 5 Stempel 2000, p. 249. 1 2 3 Doran 1995, p. 11. ↑ Dobie 2003, p. 249. ↑ Doran 1995, p. 12. 1 2 3 4 5 6 7 "Jane Austen does lunch". The Daily Beast. 17 December 1995. Retrieved 13 August 2011. ↑ Leydon, Joe (5 January 1996). "Thompson sees a lot of sense in Jane Austen's sensibilities". Chicago Tribune. Retrieved 16 August 2011. 1 2 Doran 1995, p. 13. ↑ Doran 1995, pp. 12–13. 1 2 3 Silverstein, Melissa (24 August 2010). "Interview with Lindsay Doran: Producer Nanny McPhee returns". The Huffington Post. Retrieved 7 December 2012. 1 2 Thompson 1995, p. 209. ↑ Thompson 1995, p. 208. 1 2 Parrill 2002, p. 6. ↑ Thompson 1995, p. 252. ↑ Thompson & Doran 1995, 01:33:00–01:33:25. ↑ Rickey, Carrie (23 August 2010). "Emma Thompson on child rearing, screenwriting and acting". The Philadelphia Inquirer. Retrieved 26 April 2013. ↑ Welsh, Jim (1 January 1996). "A sensible screenplay". Literature/Film Quarterly. Retrieved 27 August 2012 – via HighBeam Research. 1 2 3 4 5 6 Thompson, Anne (15 December 1995). "Emma Thompson: Write for the part". Entertainment Weekly. Retrieved 22 July 2013. ↑ Thompson & Doran 1995, 01:33:25–01:33:49. ↑ Gay 2003, p. 92. 1 2 3 4 5 6 7 8 9 Miller, Frank. "Sense and Sensibility". Turner Classic Movies. Archived from the original on 19 August 2011. Retrieved 14 August 2011. ↑ Mills 2009, p. 67. 1 2 3 4 5 Kerr, Sarah (1 April 1996). "Sense and sensitivity". New York. Retrieved 16 August 2011. 1 2 3 4 Higson 2011, p. 155. ↑ Higson 2004, p. 46. 1 2 Stock, Francine (21 January 2013). "In conversation with Ang Lee". Harper's Bazaar. Retrieved 26 April 2013. ↑ Thompson 1995, pp. 207–10. ↑ Thompson 1995, p. 251. ↑ Roberts, Laura (16 December 2010). "British actresses who made their name starring in Jane Austen adaptations". The Daily Telegraph. Retrieved 14 August 2011. 1 2 Thompson 1995, p. 210. ↑ Thompson & Doran 1995, 9:45–9:53. ↑ Gerrard, Nicci (6 May 2000). "Going straight". The Guardian. Retrieved 2 September 2013. ↑ Thompson 1995, pp. 251–52. ↑ Thompson & Doran 1995, 9:15–9:30. ↑ Gilbert, Matthew (7 May 1995). "Hugh Grant: The Englishman who went up the Hollywood mountain and came down a star". Boston Globe. Retrieved 26 August 2012 – via HighBeam Research. ↑ Thompson 1995, p. 216. 1 2 Thompson 1995, p. 269. ↑ Henley, Jon (14 September 2008). "Less is more". The Guardian. Retrieved 23 August 2013. ↑ Tweedie, Neil (20 September 2008). "Greg Wise talks about acting and life with Emma Thompson". The Daily Telegraph. Retrieved 23 August 2013. ↑ Thompson & Doran 1995, 5:13–5:20. ↑ Thompson 1995, pp. 246–47. ↑ "Sense and Sensibility (1995)". British Film Institute. Retrieved 1 September 2012. 1 2 3 4 5 Troost 2007, p. 83. 1 2 Gay 2003, pp. 97–98. ↑ Thompson 1995, p. 258. ↑ Gay 2003, p. 98. ↑ Mills 2009, p. 68. 1 2 3 4 5 6 7 Warren, Michael (22 September 1995). "Ang Lee on a roll: The director of The Wedding Banquet and Eat Drink". AsianWeek. Retrieved 27 August 2012 – via HighBeam Research. 1 2 Higson 2004, p. 44. ↑ Higson 2004, p. 45. ↑ Thompson & Doran 1995, 20:00–20:20. ↑ Thompson 1995, pp. 207–09. ↑ Thompson & Doran 1995, 1:11–2:25. 1 2 Thompson & Doran 1995, 01:02:00–01:03:45. ↑ Thompson 1995, pp. 220–21. 1 2 3 4 Mills 2009, p. 70. ↑ Thompson 1995, pp. 220, 240. ↑ Thompson & Doran 1995, 17:00–17:20. 1 2 3 Mills 2009, p. 72. 1 2 Dawes, Amy (13 December 1995). "Remaking the classics director, cast find yin, yang in Austen tale". Los Angeles Daily News. Retrieved 26 August 2012 – via HighBeam Research. ↑ Thompson & Doran 1995, 4:20–4:40. ↑ Thompson & Doran 1995, pp. 227–28. ↑ Thompson 1995, pp. 212–13. ↑ Thompson 1995, pp. 266–67. ↑ Lyall, Sarah (5 November 2006). "Beauty is much less than skin deep". The New York Times. Retrieved 16 August 2011. 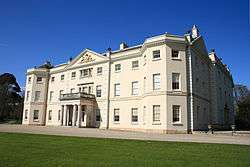 ↑ "The Sense and Sensibility estate, Saltram House, Devon". The Guardian. 7 June 2009. Retrieved 17 August 2011. ↑ Higson 2011, p. 149. ↑ Thompson 1995, pp. 215, 217–19. ↑ Thompson 1995, pp. 215, 217, 222, 226–27. ↑ Voigts-Virchow 2004, p. 11. ↑ Thompson 1995, p. 224. ↑ Thompson 1995, p. 233. ↑ Britten, Nick (18 July 2010). "Weddings fall at Sense and Sensibility church after bells break". The Daily Telegraph. Retrieved 18 August 2011. ↑ Thompson 1995, p. 230. ↑ Thompson 1995, pp. 235–37. ↑ Thompson & Doran 1995, 6:15–6:25. ↑ Thompson 1995, pp. 261–62. ↑ Thompson 1995, pp. 286–87. ↑ "Other special places to visit". 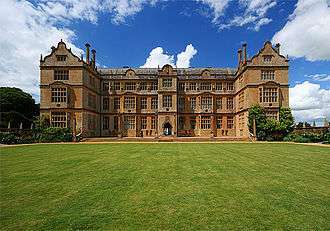 National Trust for Places of Historic Interest or Natural Beauty. Retrieved 18 August 2011. ↑ Rose, Steve (10 July 2010). "This week's new film events". The Guardian. Retrieved 18 August 2011. 1 2 Webber, Brad (1 March 1996). "Composer's classical music makes 'Sense' in movies". Chicago Tribune. Retrieved 17 August 2011. 1 2 3 4 5 Parrill 2002, p. 43. 1 2 Horn, John (13 March 1996). "Score one for the movies: composers translate plot, character and setting into Oscar-nominated music". Rocky Mountain News. Retrieved 14 April 2013 – via HighBeam Research. ↑ Carter, Darryl. "Sense and Sensibility – Patrick Doyle". AllMusic. Retrieved 1 September 2012. 1 2 Chapman, Glen (21 April 2011). "Music in the movies: Patrick Doyle". Den of Geek. Retrieved 14 April 2013. 1 2 Hansen, Liane (10 March 1996). "Film scores – The men who make the music – Part 2". NPR. Retrieved 14 April 2013 – via HighBeam Research. ↑ Cripps, Charlotte (15 October 2007). "Classical composer aims to score for charity". The Independent. Retrieved 14 April 2013 – via HighBeam Research. 1 2 3 Thompson 1995, p. 272. ↑ Thompson & Doran 1995, 9:30–9:50. ↑ Thompson & Doran 1995, 01:29:10–01:29:50. 1 2 Thompson & Doran 1995, 01:30:00–01:30:35. ↑ Higson 2011, p. 141. 1 2 3 4 5 6 Stovel 2011. ↑ Thompson & Doran 1995, 01:59:00–01:59:15. ↑ Bierly, Mandi (22 February 2013). "Oscar-nominated editors clear up the biggest category misconception". Entertainment Weekly. CNN. Retrieved 23 July 2013. ↑ Flavin 2004, pp. 42–3, 46. ↑ Dole 2001, pp. 51–3. ↑ Kohler-Ryan & Palmer 2013, p. 56. 1 2 Parrill 2002, p. 11. ↑ Flavin 2004, p. 44. ↑ Nixon 2001, pp. 36–37. ↑ Flavin 2004, pp. 44–45. ↑ Parrill 2002, p. 7. ↑ Flavin 2004, p. 43. ↑ Jones 2005, p. 102. ↑ Nixon 2001, pp. 35–36. ↑ Thompson 1995, p. 255. ↑ Thompson 1995, p. 265. ↑ Kroll, Jack (13 December 1995). "Hollywood reeling over Jane Austen's novels". Los Angeles Daily News. Retrieved 27 August 2012 – via HighBeam Research. ↑ Stuart, Jon (10 December 1995). "Emma Thompson, sensibly: The levelheaded actress turns screenwriter with her adaptation of Jane Austen's 'Sense and Sensibility.'". Los Angeles Times. Retrieved 26 April 2013. ↑ Thompson & Doran 1995, 5:40–6:25. ↑ Kohler-Ryan & Palmer 2013, p. 41. ↑ Scholz 2013, p. 133. ↑ McRae 2013, p. 35. ↑ McRae 2013, p. 36. ↑ Dole 2001, pp. 59–63. ↑ Flavin 2004, p. 49. ↑ Thompson 2003, pp. 24–5. ↑ Higson 2011, p. 150. ↑ McCreadie 2006, p. 75. ↑ Gay 2003, pp. 92–3. ↑ Dole 2001, pp. 55–6. ↑ Troost 2007, pp. 82–83. ↑ Gay 2003, p. 93. ↑ Pidduck 2000, p. 123. 1 2 3 4 Higson 2011, p. 157. 1 2 "Sense and Sensibility (1995)". Box Office Mojo. Retrieved 23 August 2012. 1 2 Higson 2004, p. 65. ↑ "Weekend Box Office Results for January 26-28, 1996". Box Office Mojo. Retrieved 23 August 2012. 1 2 3 Higson 2011, p. 156. ↑ "The best of 1995: Cinema". Time. 25 December 1995. Retrieved 26 August 2012. ↑ Lauerman, Connie (15 December 1995). "Happy ending". Chicago Tribune. Retrieved 17 August 2011. ↑ Brownstein 2001, p. 17. ↑ Higson 2011, pp. 129–30. ↑ Higson 2004, pp. 40–41. ↑ Higson 2011, p. 129. ↑ Thompson 2003, p. 13. ↑ Higson 2011, pp. 157–58. 1 2 Higson 2011, p. 158. ↑ Higson 2004, p. 35. ↑ Dwyer, Michael (8 March 1996). "Tea, tears and sympathy "Sense And Sensibility" (PG) Savoy, Virgin, Omniplex, UCIs, Dublin". The Irish Times. Retrieved 23 July 2013 – via HighBeam Research. ↑ "Sense and Sensibility (1995)". Rotten Tomatoes. Flixster. Retrieved 2 November 2013. ↑ McCarthy, Todd (3 December 1995). "Sense and Sensibility". Variety. Retrieved 1 September 2012. 1 2 LaSalle, Mick (13 December 1995). "A fine 'Sensibility', Emma Thompson adapts Jane Austen's classic story". San Francisco Chronicle. Retrieved 31 August 2012. ↑ Simon 2005, p. 484. ↑ Leith, William (25 February 1996). "Needle work". The Mail on Sunday. Retrieved 23 July 2013 – via HighBeam Research. ↑ Carr, Jay (13 December 1995). "Thompson makes glorious 'Sense'". Boston Globe. Retrieved 23 July 2013 – via HighBeam Research. 1 2 Parkinson, David. "Sense and Sensibility". Radio Times. Retrieved 23 August 2013. ↑ Parrill 2002, p. 4. ↑ "Nominees & winners for the 68th Academy Awards". Academy of Motion Picture Arts and Sciences. Retrieved 13 August 2011. ↑ Welkos, Robert W. (26 March 1996). "'Braveheart' is top film; Cage, Sarandon win". Los Angeles Times. Retrieved 18 August 2011. ↑ "Awards database". British Academy of Film and Television Arts. Retrieved 13 August 2011. ↑ "Berlinale: 1996 prize winners". berlinale.de. Retrieved 1 January 2012. ↑ Shih 2007, p. 57. ↑ Page, Clarence (12 March 1996). "Edited out of the Oscars". The Baltimore Sun. Retrieved 22 August 2013. ↑ Shih 2007, p. 59. ↑ Higson 2011, p. 125. 1 2 Parrill 2002, p. 5. ↑ Higson 2004, p. 38. ↑ Dale, Arden; Pilon, Mary (6 December 2010). "In Jane Austen 2.0, the heroines and heroes friend each other". The Wall Street Journal. Retrieved 18 August 2011. ↑ Greenfield & Troost 2001, p. 1. ↑ Higson 2004, p. 42. ↑ Higson 2011, pp. 149–50. ↑ Greenfield & Troost 2001, p. 2. ↑ Troost 2007, p. 75. ↑ Higson 2011, pp. 158–59. ↑ Conland, Tara (19 January 2007). "Davies turns up heat on Austen". The Guardian. Retrieved 26 August 2012. ↑ Hoggard, Liz (24 July 2008). "Senseless sensibility". The Independent. Retrieved 7 August 2012 – via HighBeam Research. ↑ Winterman, Denise (9 March 2007). "Jane Austen – why the fuss?". BBC News. Retrieved 20 May 2012. ↑ Laity, Paul (25 December 2011). "My favourite film: Sense and Sensibility". The Guardian. Retrieved 30 August 2012. ↑ Looser, Devoney (21 Feb 2016). "Sense and Sensibility and Jane Austen's Accidental Feminists". The Atlantic. Retrieved 1 Mar 2016.